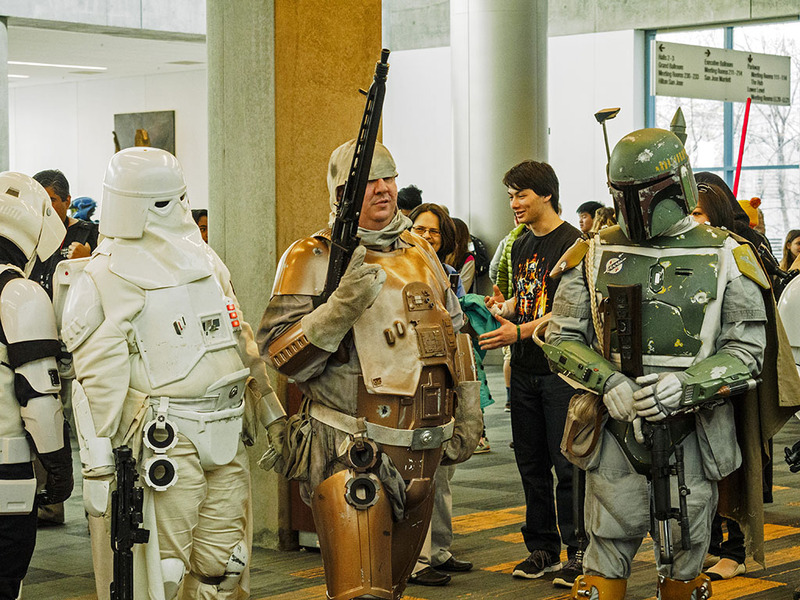 The first Silicon Valley Comicon (so named, anyway) wrapped up last weekend. While successful, the overly large crowds marred what should have been a great event. We talk about how what we liked, how it can be better, and why it might have to move out of Silicon Valley to be better. Friday evening made it all look easy. Relatively light crowds, friendly staff, and enthusiastic vendors created a pleasant buzz. Saturday… well, Saturday turned out to be a different story. The carefully choreographed check-in/check-out procedure broke down due to sub-optimal placement of the entry gates. The constant need to check out just to go to smaller panel sessions or get food proved too much for the RFID system. The spacious vendor aisles became packed, lines to the panels needed to be managed better. Even so, everyone seemed in good spirits, we saw some great cosplay, and the vendors looked like they were doing good business. Eric, David, and I talk about what we liked, what could have been better, and whether the venue needs a change of SVCC decides to continue. We hope it does; certainly the crowds proved that Silicon Valley deserves a world-class comic and general geek fan con. I discover that DIY home automation is a mess of conflicting standards and gear that can’t interoperate. I also find the droolworthy Beyerdynamic MMX300 headset on Massdrop, but discover that Massdrop’s pricing isn’t always the best. And to top it all off, I suffered both a power failure on one day, and ISP going down the next. Meanwhile, Eric is drooling over the idea of Comcast delivering 2gbps symmetric fiber to his doorstep, but at a whopping price. David and I feel dubious about the idea — not only the pricing, but Comcast’s aggressive efforts to block Google fiber. David brings over a cool LED lantern from UCO gear. 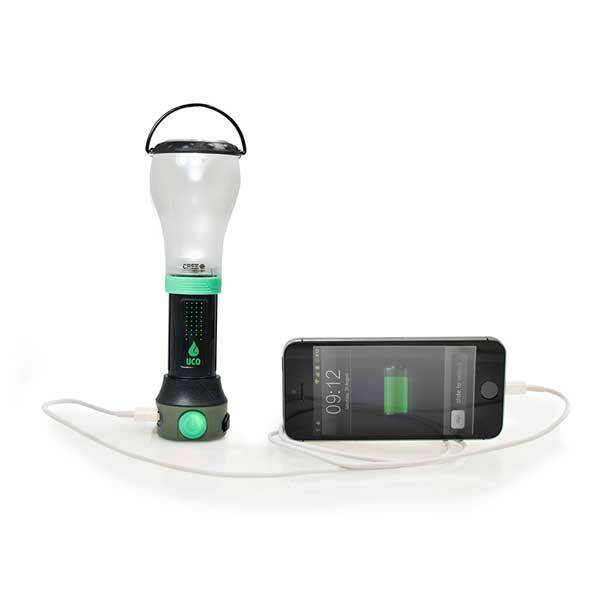 It’s an LED flashlight that pops up into a small lantern — and can even charge your smartphone. He also discusses new tools for his multitude of Raspberry Pi units. All of us have been playing The Division. The game gets the 3rd person cover shooter mechanics pretty right, but we hear the end game needs a little more love from Ubisoft. Still, we’re not there yet, so the shine hasn’t worn off. Eric and I talk about The Kingdom of Dreams and Madness, a documentary about Japan’s legendary Studio Ghibli. The filmmakers follow Miyazaki as he works on what is probably his last film. It’s a fascinating look at one of the most creative animation studios in the world. Meanwhile, Eric’s wraps up some reading, and dives into some binge-watching on Netflix. On the maker front, he’s discovered the joys of adding LED lights to Lego models. Davis talks up meh.com, and how he hopes it will become the new Woot.com. Only time will tell.